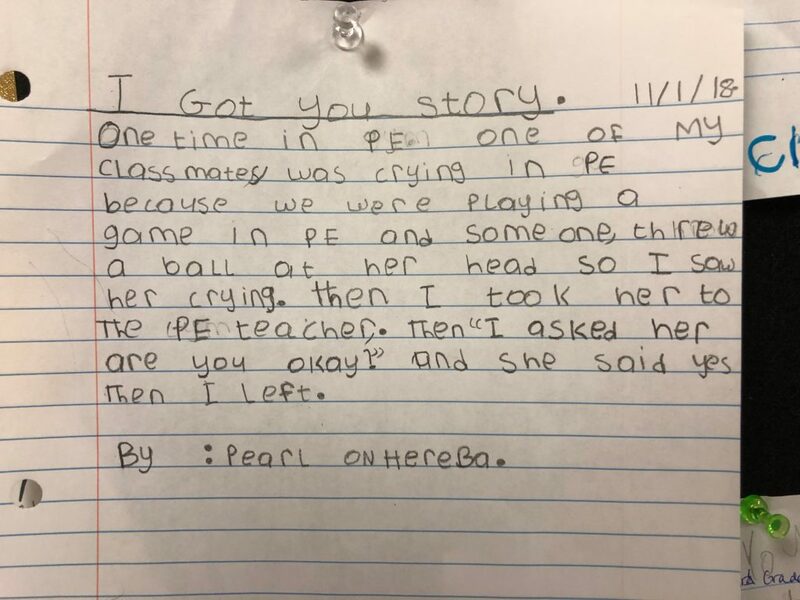 Just how kind can one school community get? If we’re talking about Carpenter Elementary, the answer is very. In fact, Carpenter has logged 3,242 acts of kindness since the start of the school year. For the month of the October—which was National Anti-Bullying Month—Carpenter opted to put a positive spin on the concept by promoting Pro Kindness Month. Students engaged in acts of kindness, receiving a pin to place on a wreath as a representation of how well we are doing as a school. The big reveal happened Monday, when students learned how many acts of kindness were collectively achieved. 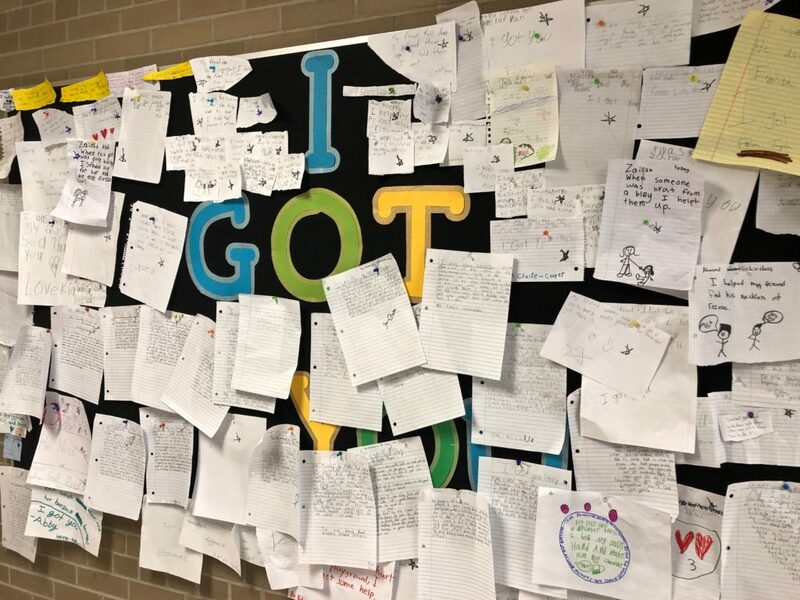 Carpenter’s award-winning “I Got You” ~Big Mack school-wide kindness project won the the Ann Arbor/Ypsilanti Regional Chamber E3 Award for “Exemplary Educational Endeavors” 2018. Many students were wearing their “I Got You” T-shirts. The 2018 Ann Arbor/Ypsilanti Regional Chamber of Commerce E3 Project of the Year was awarded to the project, as reported in this story in the AAPS District News last year. Congratulations to a job well done. Being kind instead of a bully makes for a better school, community, and world.